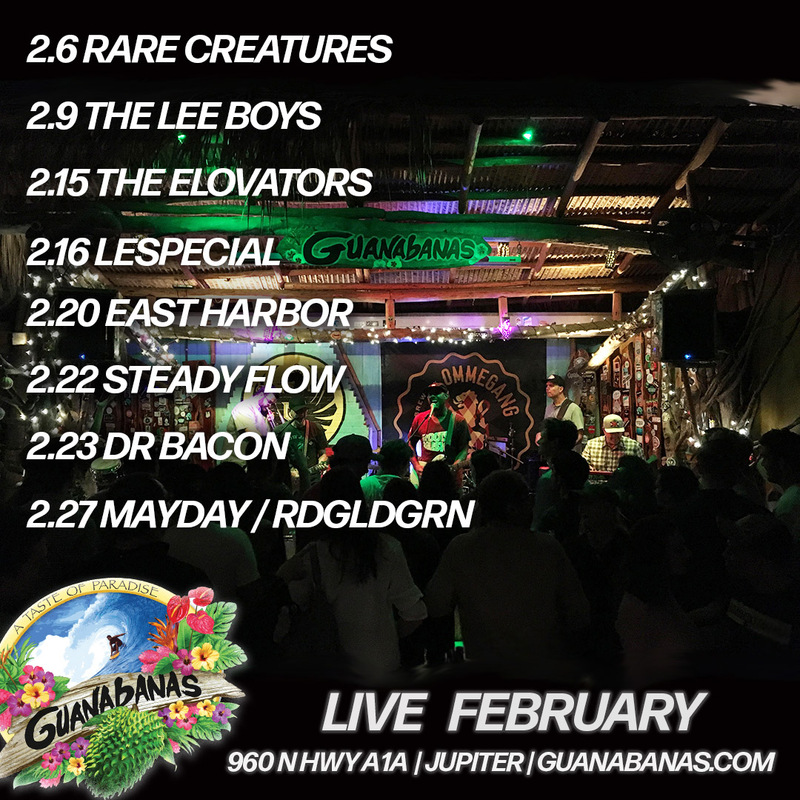 Guanabanas February Live Music Highlights Presented by Roots Music, Inc.
Who: Roots Music, Inc. presents several high-profile live musical events throughout the month of February. Rare Creatures – alt rock – Wednesday, February 6, 9 p.m. The Lee Boys – soul / R&B – Saturday, February, 9, 9 p.m. The Elovators with special guest BrettStaska – reggae – Friday, February 15, 9 p.m.
lespecial – experimental rock – Saturday, February 16, 2019, 9 p.m.
East Harbor – indie rock – Wednesday, February 20, 9 p.m. Steady Flow – funk / rock – Friday, February 22, 9 p.m.
Dr. Bacon – Appalachian funk – Saturday, February 23, 9 p.m. iMayday!, RDGLDDRN and LittleStranger – reggae / hip-hop – Wednesday, February 27, 8 p.m.
No cover, 21 and over welcome to all the performances. 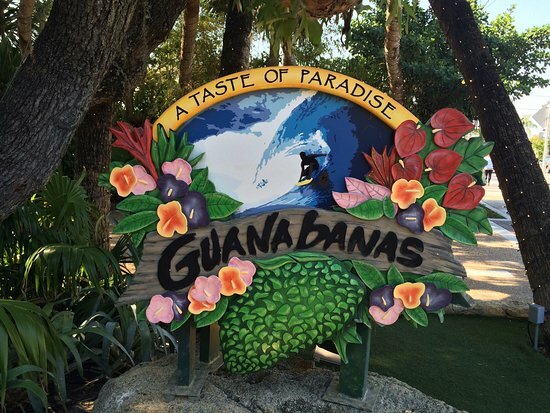 For more information about the show and the venue, and for the full lineup of February events, visit www.Guanabanas.com or call 561.747.8878. This entry was posted in Blog and tagged guanabanas, jupiter, live music, roots music. Bookmark the permalink.